Also known as the Norwegian Army Shirt or "Norgy", due to it being standard issue to the Norwegian Armed Forces and unofficially adopted by Royal Marine Commandos working on NATO's Northern Flank during the 1980's. These shirts were purchased by the thousands by British troops who valued their comfort, warmth and durability. 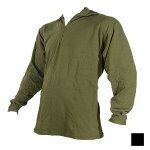 Now these 100% cotton loop stitch shirts are standard issue to all British troops and their popularity continues to grow. 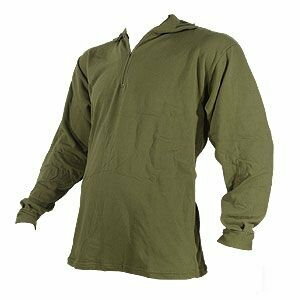 We have secured a small quantity of genuine military contract garments that were part of a production overrun. Olive green. © 2019 Vancouver Tactical Supplies All Rights Reserved.